​We observe Constitution Day on September 17, the day the members of the Constitution Convention signed the United States Constitution in 1787. Constitution Day is a wonderful opportunity to celebrate the Constitution and the unprecedented liberty, peace, and prosperity its principles have protected for millions of Americans. We should also reflect on what we can to do protect and preserve the Constitution. America has been a shining city on a hill to oppressed people around the world. As we return to the principles of the Constitution and live up to our great legacy of liberty, America can again become a beacon of hope and inspiration. 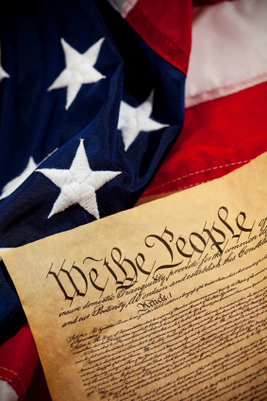 Here are a few resources to help you make the most of Constitution Day. Some families like to celebrate "Constitution Week" or "Constitution Month" so they have more time to learn about this important foundation of our freedom. Start the day with a patriotic feast. Decorate your table with patriotic decorations if desired. Serve waffles, cream, strawberries and blueberries for a red, white, and blue breakfast. Talk about Constitution Day and what it means. Use the resources listed below to learn about the document that has created great liberty for millions of people. 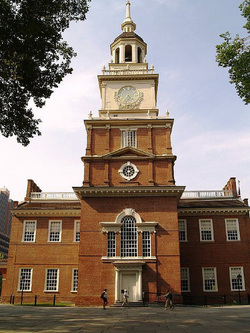 Study the process the Founding Fathers went through to create the Constitution. Set up a process and create a constitution for your family. Talk to a person who has come to the United States and gone through the process of becoming a U.S. citizen. Ask questions about their experiences. Take pictures and write down some of the experiences and ideas they share. You could give them a small gift or treat. Be sure to thank them for coming.